The way we see it or How Kung Fu Panda helped me. The other night I saw Kung Fu Panda 2 and I understood something. In the movie we can see one scene -“boat scene”- where Po is waking up from a nightmare because he is really confused and he does not know where he came from so, he goes out to take some air and, trying to find inner peace he starts doing some kung fu movements but he ends banging his head on the mast of the boat screaming repeatedly: Inner peace, inner peace!!! He is in the middle of that when the Tigress appears and Po, feeling ashamed, says that he was training. Tigress says: “The mast is not a worthy opponent” and she hold her paw out. When Po hits her paw it was so hard for him that he started screaming. I think this scene talks about something really important. At least in my experience, there was always this fight inside of me between my SENSITIVE side–the part who feels compassion for myself, who is shy and introvert, who likes comfort- and the TOUGH side –the part who is telling me to try a bit harder, the part who is pushing me into my limits and beyond-. For many years my inner discussion was: If now I´m here, feeling so comfortable, why should I change this? Maybe I could stay here for a little, just to enjoy. But then -sooner than later- without any challenge in front of me, I started to feel stuck. But then again I wanted to stop because the challenge, suddenly, seemed too much. It is not possible, I´m not going to make it, it is too difficult, it hurts so much. Many thoughts came to my mind when the things started to lose their quietness. And many times I stayed there, in the same place for long time, because I was afraid of putting myself into hard conditions, conditions that could break myself, conditions that could affect my sensibility and transforming me in to a rock. I was afraid of feeling nothing, as Tigress said. For many years I was Po and maybe then Tigress, and then Po again and then Tigress, and so on. For many years I was Po: the easy way was the easiest way for me. During these days I started to feel different. I started to comprehend some new things and one of those is this: I am both of them. I CAN be both of them at the same time. I can be there trying really hard to go beyond my own limits and, at the same moment, be tender and loving and soft, understanding that if I don´t push myself, no one will do it but, most of all, understanding that pushing myself is ALSO a way to love myself. And I can do this because I have the potential to do whatever I want but, moreover, because I understood that one force does not exist without the other. Like in the movie: Tigress can´t do the job alone. 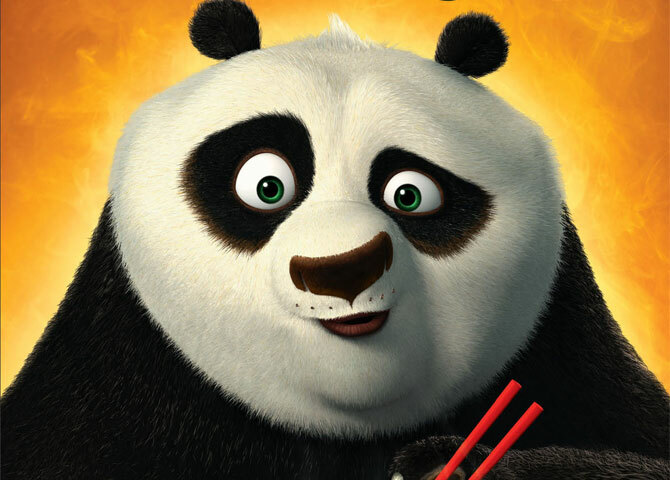 But Po can´t do it either, even though he is the Dragon Warrior. They needed each other to succeed. I don´t want to leave the tenderness, the softness, the capacity to love everyone around me but, at the same time, I want to go beyond the limits I can imagine and do my best. It is time. It is like in the postures: it is not about being uncomfortable but, if you stay there all the time exploration and interest stopped. We find comfort to enjoy life. Paradoxically the same comfort take away the passion to explore it. Contrast or complements. Is in the way we see it. Previous Previous post: Important things coming trough in waves.